Located on the eastern boarder of the Monadnock Region, Wilton, NH is a beautiful town with a strong local community. There are amazing restaurants that sell and produce locally sourced food, Farmers Markets, country stores and historical landmarks to name a few. There is so much to see, visit, and do in Wilton, NH. It is a great place to be year round, but especially now as we enter into the Spring and Summer months in the Monadnock Region. Just forty minutes outside of Manchester off of 101, Wilton is a great town to take a day trip to and explore. Keep reading for the Top 8 Things to do in Wilton, NH. 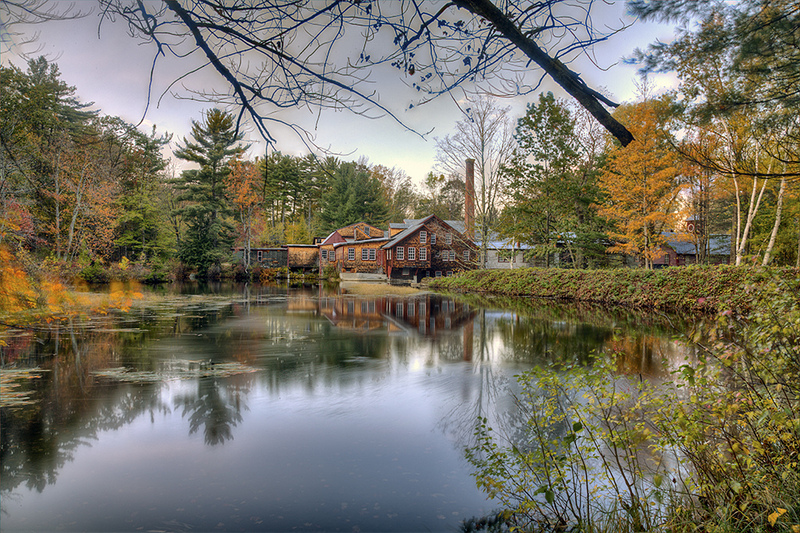 Frye’s Measure Mill is a treasured historical landmark in the Monadnock Region. Visiting the Mill will take you back in time to when the North was bursting with factories. The Mill has been using hydroelectric power for over two centuries to create a variety of products over the years. Take a tour of Frye’s Measure Mill every Saturday at 2:00 p.m. June – October. This is a great cultural day trip for anyone in the region. While you are visiting the Mill don’t forget to visit the amazing shaker and colonial gift shop with a variety of high quality handmade goods. Folk art from some of the country’s top rated artisans, colonial tinware, hand-blown glass, pottery, period lighting, pewter, hand-forged ironware, antiques and collectibles are just some of the items at Frye’s. 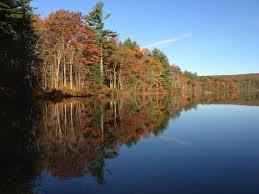 Wilton, like most New Hampshire towns also has beautiful outdoor landscapes. The Heald Tract used to be privately owned land,but now is public land. Close to 1,000 acres were donated in part to the Society for the Preservation for NH Forests to make this project possible. The views in certain areas are spectacular. At some points on the trail there are glimpses of Mt. Watatic in the distance. Also off of the beaten path explorers can find many beautiful stone foundations. One thing is for sure, this is the most beautiful place to take a walk and get lost in the woods in Wilton, NH. The wonderful experience provided by the staff at the Hilltop Café comes from their dedication to making delicious, locally sourced food. 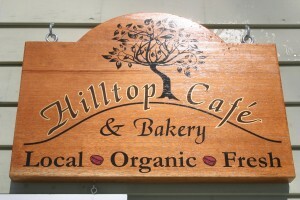 The Hilltop Café is located on The Temple Wilton Community farm, one of the oldest CSA’s in the country. A big draw for the Hilltop Café is their home-made croissants that come in a variety of different flavors. The Hilltop even makes their legendary french toast from the home-made croissants! In addition to their food, they also have an impressive drink menu. The Hilltop Café is one of the best places to stop in for a meal in Wilton, NH. It is not to be missed. 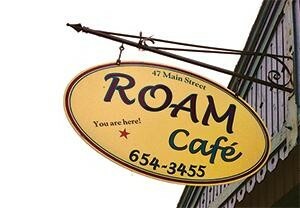 Roam Cafe is a quaint eatery with delicious and unique food, located on Main Street in Wilton, NH. Its founder Cheryl Schaefer is an avid traveler and Wilton Native. After visiting 41 different states and living in three, Schaefer came back to Wilton to open a Cafe that doesn’t serve your typical burgers and fries. Instead, everything on Roam Cafe’s menu is named by a geographic location, many based on the local variation that dish portrays. From breakfast to dinner, all of Schaefer’s plates are prepared with the freshest ingredients and cooked with the signature touch of someone who loves what she does. From the home fries that have seven different spices to the homemade bread served with uncooked jams to the succulent Memphis baby back ribs, the food is gguaranteed to impress. Add its motto of “Where ever you roam, you always come home” and you’re sure to find a cafe that you’ll keep going back to. Make sure to check their Facebook page to keep up with all of their schedule events. The Wilton Farmers’ Market serves to educate the public about eating locally and making nutritious, healthy food choices. This wonderful local institution brings good locally sourced and produced foods to people tables, while simultaneously bringing the community closer together. For a full list of the vendors at the Wilton Farmers’ Market click here. The Wilton Farmers’ Market takes place at the Wilton Historical Society, located along Route 7 at 224 Danbury Road in Wilton. Stop by every Wednesday from from 12:30 – 5p.m. from June 18th through October 1st, rain or shine. White Home Collections is more than a store, it is a one-of-a-kind shopping experience you will not soon forget. The store is stocked by more than 40 professional dealers offering unique high quality merchandise at affordable prices. 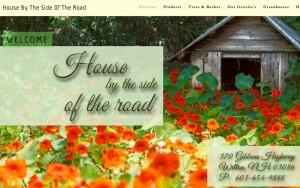 They sell furniture, antiques and all types of home furnishings. 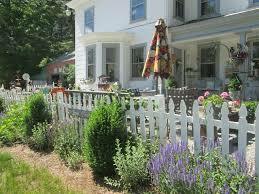 White Home Collections is located in a quaint 1860’s farmhouse nestled in beautiful Wilton NH, at 9 Greenville Rd. There is so much to explore here, White Home boasts three floors, multiple barns, and a potting shed all full of treasures waiting for you to explore! 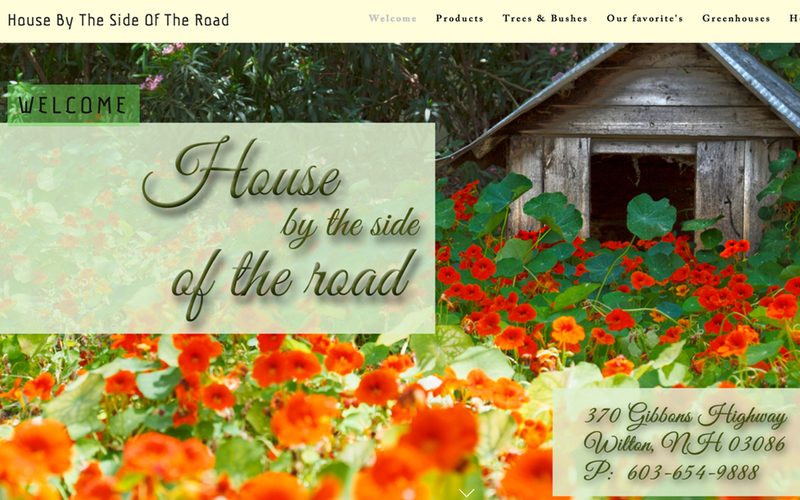 In addition to all of the amazing locally sourced and produced food in Wilton, House by the Side of the Road provides locals with beautifully grown flowers and plants. They also sell houseplants, annuals, perennials, shrubbery, hanging baskets, pottery, and many more indoor and outdoor accessories. What makes this greenhouse so special is that it is opened all year long. It is the season to get out and do yard work, so remember to stop by and ask the House’s knowledgeable staff about your next home, garden, or landscaping project. House by the Side of the Road is open seven days a week from 8 a.m. – 6 p.m. and located at 370 Gibbons Highway in Wilton, NH. Whether you are new to yoga or not, Forever Yoga is a place where you will welcomed to practice yoga at your own pace. The studio is founded on the deep seated belief that the practice of yoga can be accessible to everyone no matter what physical, mental or spiritual challenges they are face. Forever Yoga offers a warm, caring environment where you can explore and grow in your own practice in yoga at any age or skill level. Forever Yoga is located at 51 Main St in Wilton, NH. For a list of classes that you can stop in and check out click here. Just next door to Wilton, Art Happens in Milford, New Hampshire is the perfect place to go to round out your trip to Wilton. Art Happens is a creative art studio that encourages patrons to bring their own wine or beer to sip while they create. Their signature events are led by a professional artist who instructs all of the visitors on how to paint their own 16×20 inch works of art, while they drink and socialize with their friends. If painting isn’t for you, Art Happens also offers book binding classes, wool and weaving classes, mosaic glass classes and mixed media classes that help visitors combine various mediums into one piece. All of these incredibly fun and engaging classes, take place in the historic Pine Valley Mill, which is a beautiful building in its own right. With so many different options, Art Happens is sure to offer something for everyone in your group, making it a great weekend activity idea.